Both Tiwa and Whizkid were unveiled as the new ambassdors of the cola drink, Pepsi. 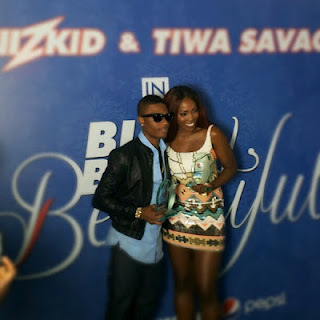 The were unveiled at the “Blue, Bold & Beautiful” at an exclusive event in Likwid, Lagos. This means, they have 'hammered' one way!! !